The nomadic lifestyle is so glamorous! Cruise Instagram for long enough and your feed will be flooded with mint condition $50,000 Land Rovers with $5000 tents on top and a half-naked woman seductively watching the sunset over a beautifully pristine landscape. 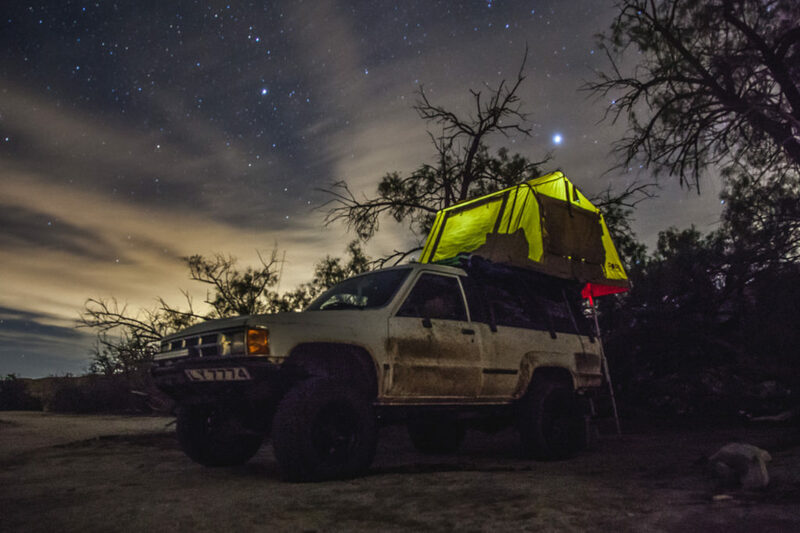 Although there are some positive aspects of sleeping on the roof of your truck, if you travel full-time, a roof-top tent is likely not where you want to sleep more than a couple of weeks each year. We began living in our roof-top tent full time in December and these are our impressions early on. Most roof-top tent (RTT) manufacturers and YouTube reviews tout the simplicity and speed with which a standard RTT can be erected. While the construction is simple in design, setup can take 5-10 minutes depending on conditions. If it is cold, the tent cover and zipper can be much more difficult to open and take a considerable amount of time. If the wind is high, you will likely want to guy line your tent to keep the rain cover from flopping around in the breeze all night. If it is raining, it might not take any longer, but you will be wet and mad when you finally get inside. On the contrary, compared to most inexpensive ground tents, setting up a roof-top tent is very easy in most conditions. 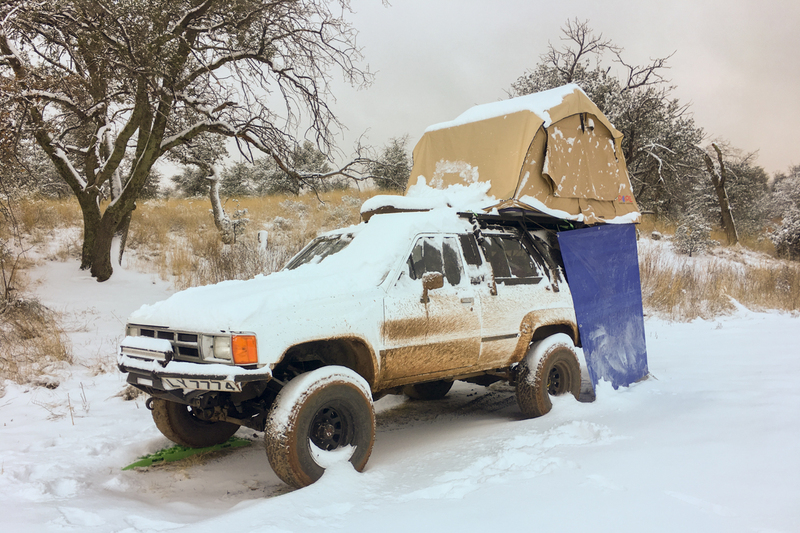 Some folks simply avoid popping up the windows and doors and minimize the time required to setup, but aren’t all of those breezy doors and windows why you wanted to camp on top of the truck in the first place? Also, most suggest a more expensive pop-up or clamshell style tent such as the James Baroud to minimize the amount of time involved in setup. But for the $4500 cost, you are halfway to a used hard-sided camper with a sink and a heater. Everyone knows it, that’s why we buy RTT’s. Having your camping shelter attached to your vehicle not only saves on interior storage room, but looks really cool. Although we think vehicle based travel and “overlanding” should be about the journey, most travelers will tell you that it’s still really nice to drive a cool rig. What’s cooler than driving to a remote campsite and simply flipping open your tent and climbing in. It’s not always that simple (see above), but it is a really cool concept. Want to see which RTT we chose to live out of full-time? Check out our video review here! This point is fairly biased as we have only camped in our RTT between the months of November and January in the Southern US and Mexico, but if you encounter cold temperatures in your roof-top tent, prepare to be cold. You are not only cold in the tent, you are cold when you go to the bathroom, when you wake up in the morning, and you are cold when you cook your food. We are working on installing a separate annex room the attaches to the underside of our tent to block out some of the cold and wind, but so far we have absolutely frozen in our tent. Sleeping has been moderately comfortable as we carry our backpacking sleeping bags and several blankets. However, there is no cuddling in the RTT unless you have a 2-person sleeping bag. 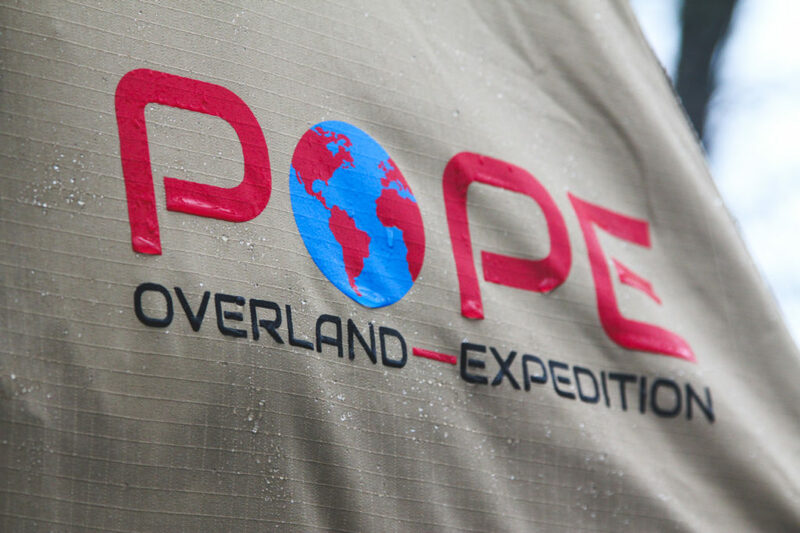 Rain is a tricky enemy of the roof-top tent and we have had approximately 20 nights of precipitation in the tent and it makes everything more difficult. Humid air creates condensation at an alarming rate in a RTT and even with windows and vents open, water on the walls is inevitable. Pack a towel and dry it daily as you will need it to wipe down the moisture inside your tent. Alternatively, after a rain, the outside of your tent is wet as well. A decision has to be made to stay put and wait for the tent to dry out or pack up a wet tent and open it as soon as possible to avoid mold and water damage. Snow is as likely as rain in the Western United States and snow will make closing your tent a challenge. We have found that carrying a window scraper with a brush (the telescoping kind made for truck drivers) and sweeping off as much snow as possible before trying to pack up makes a huge difference. Still, there will be residual snow that melts and causes the same paranoia as rain. This point is comparative, maybe unfairly to our time traveling in our school bus conversion, but setting up and tearing down a campsite is a pain. In a hard sided camper like our bus or a pop-up bed camper, you pull into a spot (sometimes in a sketchy location), block out the windows and you are in your kitchen, bedroom, and living room. With the RTT, Rachael and I both have our assignments when we arrive at a spot including setting up the tent, digging food out of the back, setting up chairs, making dinner, climbing into the tent to cook dinner, climbing out to do dishes, brush our teeth, and pee, and climbing in a final time to sleep. Selecting a campsite for a roof-top tent is much trickier than a hard sided vehicle or camper. In a hard-sided vehicle your site needs to be slightly level and only marginally incognito. With a roof top tent you must consider a level spot for your ladder, wind direction and speed, and probability of drawing attention to yourself. Also keep in mind that most urban camping areas (Wal-Mart Parking Lots anyone?) are not RTT friendly. We have seen some folks pop their tent in the parking lot, but it seems to be considered bad form in most areas. The feeling and sight of being in a tent and off of the ground is a lot of fun. The feeling is similar to camping out in a treehouse as a kid. The views are great as you are approximately 6-8 feet higher than the area around you which makes for a great perspective in most campsites. While camping on the Pacific Coast of Baja we were treated to some great starry nights that were enhanced that much more by being able to law down in our tent with the doors and windows open and watch the stars shoot across the sky with the waves crashing below. It can be simply sublime. 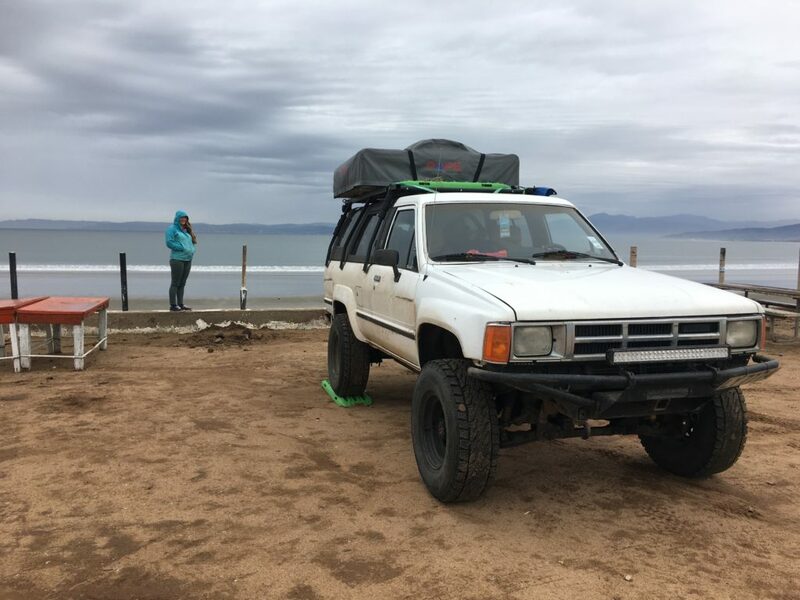 After traveling across the US for Overland Expo EAST and driving from Oklahoma to Baja California, Mexico we are convinced that the Roof Top Tent is a practical, fun, and affordable way to travel. When you consider the relative ease of setup compared to a ground tent and the extreme difference in comfort compared to a ground tent, a roof top tent makes a lot of sense for a lot of people. 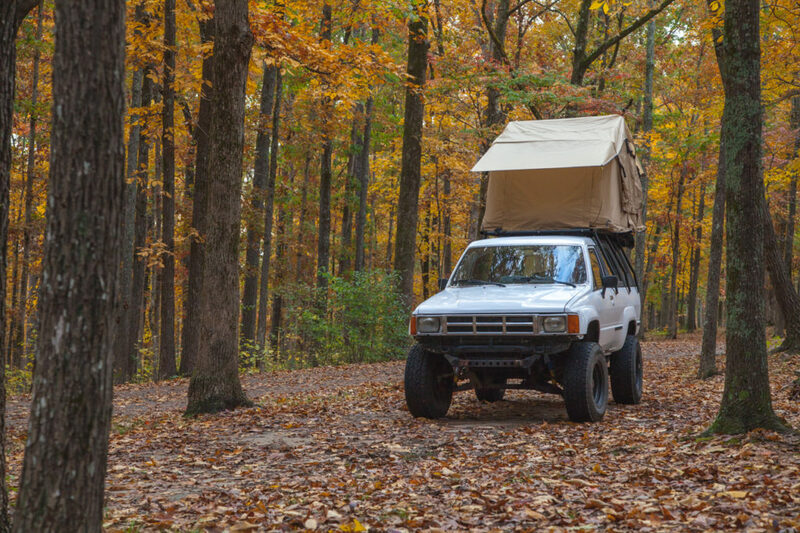 We will likely be continuing our search for ways to integrate a hard sided pop up style camper such as a Four Wheel Camper into our 4Runner only because we spend a lot of time in our truck. 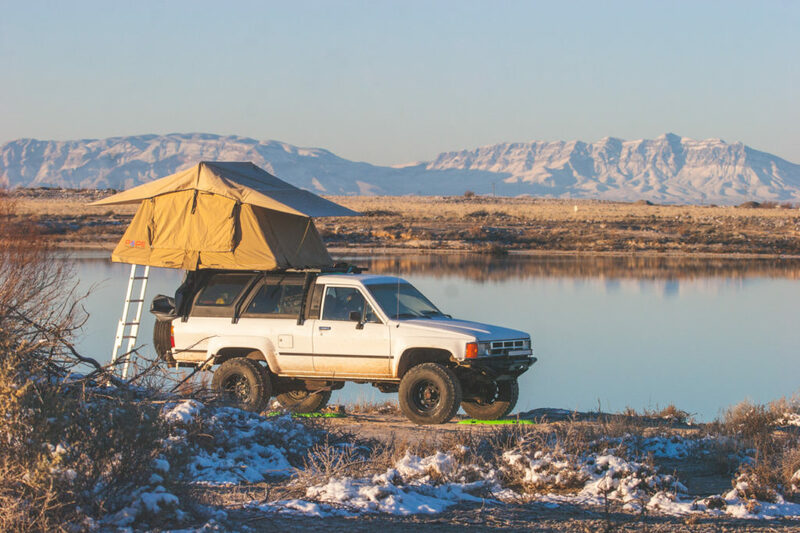 If we were planning on traveling on vacation a couple of weeks per year and being a weekend warrior the rest of the time, a Roof Top Tent is PERFECT! For full time travel we really miss the warmth, comfort, and convenience of a fixed living space. Until that day comes, we will continue to enjoy the freedom, coolness, and simplicity of traveling with our roof top tent!